A startup has developed processors it claims could let wearable devices run for up to a month without a battery charge. Ineda Systems’ new Dhanush processors are targeted at fitness tracker bands, smartwatches, sensor devices, wearable cameras and other electronics, whose batteries at best last several days today. The company is developing four chips with varying power consumption and processing capabilities. They are designed to work within the power constraints of these types of devices. 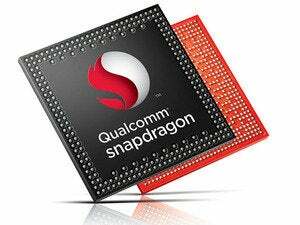 The chips will ship to device makers in the second half of this year, and devices may come out in the first half of 2015, said Ramkumar Subramanian, Ineda’s vice president of business development. Test samples of the processors have already started shipping to device makers. Ineda has benchmarked the chips using multiple scenarios and is comfortable with its battery life claim, Subramanian said. The company is also backed by prominent chip makers Samsung and Qualcomm, which are already making devices for the body. Ineda received a total of $17 million from Qualcomm, Samsung Catalyst Fund, Walden-Riverwood Ventures and IndusAge Partners on Tuesday. Ineda, based in Santa Clara, California, and Hyderabad, India, is run by Gude Dasaradha, who worked at Advanced Micro Devices and played a role developing the Fusion chip that combined the CPU and GPU in one processing unit. The company’s chairman, Sanjay Jha, is the CEO at chip manufacturer GlobalFoundries and was CEO at Motorola Mobility. Dhanush’s chip designs bring together multiple low-power CPU cores with shared memory and I/O. Wearable devices are designed to be low power, and Ineda says its hierarchical chip design can break down tasks and block them out for processing in specific units. For example, the chip can break down voice-related functions into tasks like natural language processing for execution in different parts of a subsystem. The chips have different processing units, each with different degrees of power consumption and processing power, said Balaji Kanigicherla, Ineda’s co-founder, CTO and vice president of engineering. For example, the least powerful unit anticipates information typically fed through always-on sensors—such as motion—which is then processed and can be presented on a display. The most powerful CPU typically runs as an applications processor, Kanigicherla said. The Dhanush CPUs can function on independent operating systems, which can save power because an instance of an entire OS doesn’t need to be loaded just to process basic sensor information. Running a full instance of Android just to process small bits of information can be overkill, Kanigicherla said. Dhanush is based on MIPS CPUs and PowerVR graphics cores, both of which are from chip design company Imagination Technologies. Dhanush’s high-performing “Advanced” chip can run rich graphics and Android OS, the “Optima” chips are for midrange wearables, while “Micro” and “Nano” chips are for low-end wearables and designed to run for weeks. The chips can support a range of sensors. A lot of fine-tuning has been done on Dhanush in the way data is processed and power is fed, which also helps achieve power savings, Kanigicherla said. The MIPS CPU has also been modified by Ineda and adapted to fit into wearable devices. The wearable market is expected to take off in the coming years. 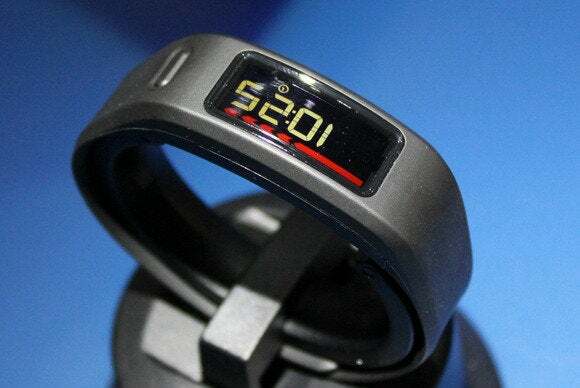 In a study last week, Technalysis Research projected wearable device shipments to hit about 9.9 million units this year, growing to 70.5 million units by 2018. The estimate includes devices worn on the head, wrist, ears, legs and hands. But Dhanush has competition. Qualcomm’s Toq and Samsung’s Gear smartwatches are based on ARM processors, and Intel is also developing Quark processors for wearable devices. Chinese company Ingenic last week shipped an integrated board called Newton for wearables with a MIPS-based CPU.